Under these bills, however, the five Gulf States would have exclusive power to set the season length for private anglers. It would be up to them to honor the science-based catch limits established for private anglers and make it optional to reduce season lengths if overages occurred. Even under the current, tighter standards, overages are common. In 2016, for example, the sector exceeded its catch limit by 1.14 million pounds, some 28 percent. Without a mandatory backstop in the law affecting private anglers, federal authorities would have to sharply reduce commercial and charter/for-hire quotas to make up for any private angler overages. 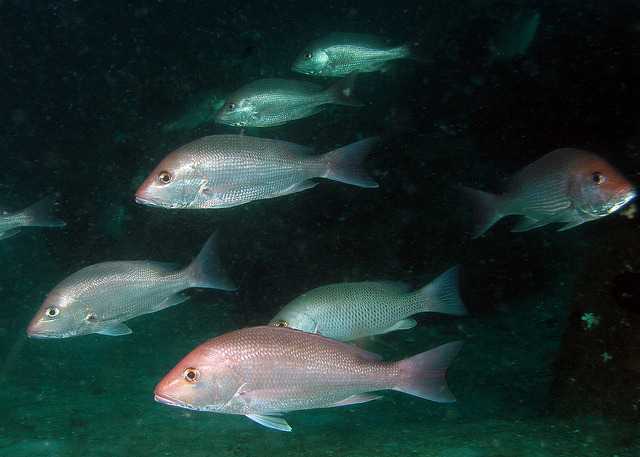 The bills do give the Secretary of Commerce a so-called “nuclear option” to take over red snapper fishing in state and federal waters if a state undermines the overall rebuilding plan. But because interfering with a state’s newly legislated rights to manage red snapper – especially in its own waters — is such a drastic step, we agree with others who “doubt the aforementioned federal tool would be imposed.” That would leave the hard-won rebuilding of the Gulf red snapper population in short-term jeopardy. NMFS estimates that private anglers will land more than 11 million pounds of red snapper — triple their quota — under this year’s extended season that was granted by the Commerce Secretary. The bills’ supporters have asserted that they want any new legislation to keep private angler fishing within the established quotas, and it is undoubtedly possible to amend these bills to make that intention clear in the text. This relatively simple fix would prevent the hard-won gains in this fishery from being quickly erased and ensure that red snapper can be enjoyed by all Americans. This entry was posted in Domestic, Gulf of Mexico, Policy and tagged fisheries law, fisheries policy, Recreational Fishing, Red Snapper, sustainable fisheries. Bookmark the permalink. Both comments and trackbacks are currently closed.